Musselshell County is currently accepting applications for a Part Time Clerk in the Treasurer’s Office. This position will consist of 32 hours a week with benefits. Starting wage is $10.00 per hour. Applications will be accepted up until 5:00 p.m. on April 12, 2019. The part time clerk is responsible for performing all duties that pertain to the Treasurer’s Office. Those duties include, but are not limited to processing motor vehicle transactions, billing and collecting property taxes, collecting and receipting all monies due the county. A full job description will be provided with the application. Forms can be picked up at the Treasurer’s office at 506 Main Street, Roundup, MT 59072. The County reserves the right to reject any and all applications not to the best interest of Musselshell County. Musselshell County is an Equal Opportunity Employer. If you reach our voice mail during office hours we are either on another line or busy with a customer. Feel free to leave a message or try back later. Office Hours: 8 a.m. to 5 p.m. Monday thru Friday, closed on legal holidays. Motor Vehicle title work is processed from 8 a.m. to 4 p.m. Prior arrangements can be made after 4 p.m. if necessary. Fees can be paid at the Treasurer’s Office Monday through Friday 8 am to 5 pm. Appointments are now required for most services at all Driver License Exam Stations. Scheduling can be done online at or by calling 1-866-450-8034. The Montana Dept. of Justice website also offers further help and information on Driver’s Services and Motor Vehicle questions and forms. If you ask anyone what the Treasurer’s Office does, they will tell you that this office takes your money. Collect motor vehicle fees. This money is distributed to the county funds, the school districts, the City of Roundup, the Town of Melstone and the State of Montana. Collect property taxes. These funds are distributed to various state,county and city entities as well as the school districts based upon approved budgets and approved mill levies. Collect and invest money received by other county offices and the public schools. We make every effort to invest funds to earn the greatest interest while keeping your money secure. We have developed an Investment Pool which we feel will maximize our return on your money. Work hand in hand with the school clerks to receive and distribute money from the county and state sources to the appropriate school funds. The Accounting Office provides monthly reports to each school district providing their cash balances and an overview of the money received and disbursed by each district. 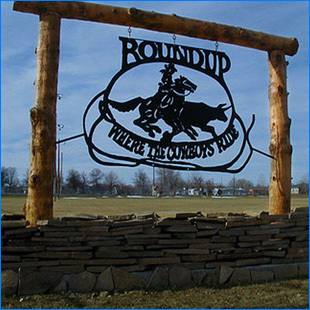 Remit monies received to the City of Roundup, Town of Melstone, Broadview School District and State of Montana on a monthly basis. Assist with vehicle titling and registration. Note: Web Tax shows Taxes for Mobile Homes and Real Estate Taxes for 2014 forward. Musselshell County changed tax programs in 2014, so prior tax years are not available.